The Refined Room: Country Up the Kitchen! 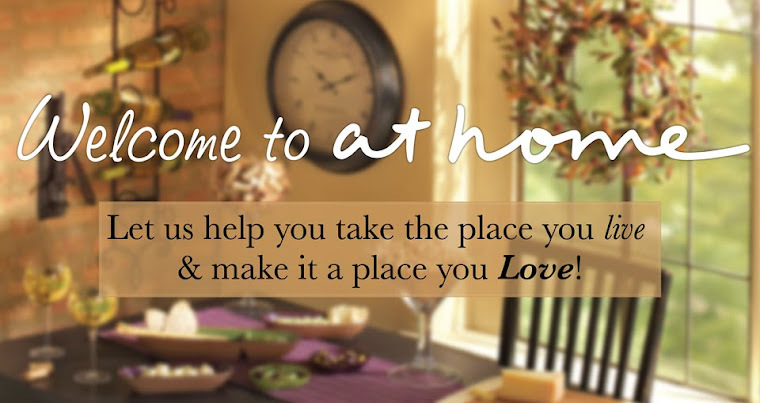 I recently read a post on another blog about adding decor elements to the kitchen. Of course, I began looking at my own space with an eye to refreshing it. Food & nature go hand-in-hand, don't they? I always smile over a basket of multi-hued fresh eggs, green apples, bright yellow lemons or a lovely rosemary topiary. 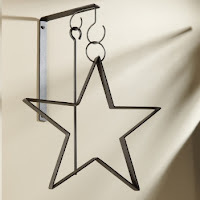 Our kitchens are a perfect place for accesories that show off our decor personalities. With that in mind, here is a collection of some items I'd love to add to my kitchen (or yours). I'm thinking about things I'd enjoy in my own country kitchen. I'll save Tuscan, French Country, Retro and Modern for later posts. 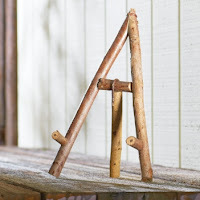 I'll start with this simple and rustic wood easel. 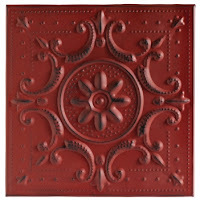 It would be a great place to rest a cookbook or a red tin tile. 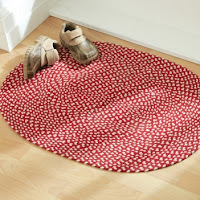 Next, I'd place this braided rug at the sink. Something about this kind of rug just says "country home" to me. 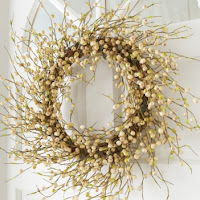 On the pantry door, or in a window, I would hang this berry wreath with a length or gingham or burlap ribbon. 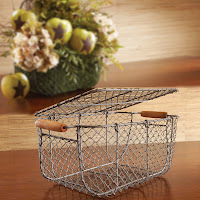 This great wire tackle box has so many possibilities! Those eggs, apples or lemons, I spoke of earlier would fit nicely. But so would coffee mugs and a sugar bowl & creamer, folded cloth napkins or a dried herb arrangement. Last, not least the dinner bell. Every good cook need one!